Toyota has released a teaser image of a new sedan to be unveiled at next week's New York International Auto Show. 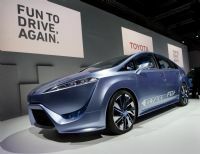 Toyota's ultra-efficient FT-Bh concept will be unveiled at the Geneva Motor Show on March 6. 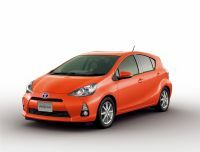 Prius C is due to be launched late next month in Japan, where it will be called Aqua.